AMD's net income and revenue tanked as sales in its Computing and Graphics segment fell by 54 percent. AMD suffered a potentially catastrophic quarter, losing $181 million as revenue fell 35 percent from a year ago. Even worse, sales in the company’s Computing and Graphics Segment fell by a whopping 54 percent, as PC makers cut purchases of AMD’s parts. AMD’s computing and graphics business racked up $532 million in sales a quarter ago, and was the largest AMD business unit. For the most recent quarter, sales fell to $379 million. 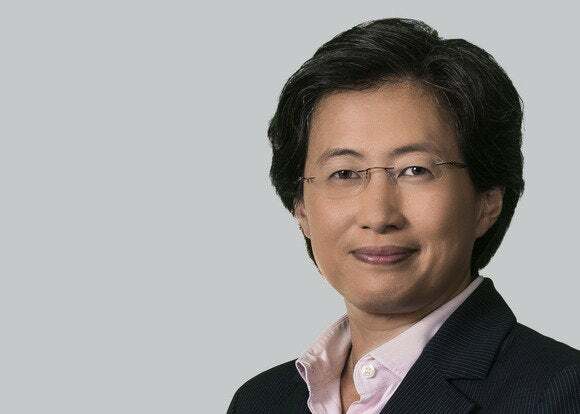 Dr. Lisa Su, the company’s newly appointed CEO, said the majority of its sales in the most recent quarter came from its Enterprise, Embedded and Semi-Custom (EESC) business unit. EESC sales grew sequentially from $498 million to $563 million. AMD's $181 million loss compares to a net loss of $36 million from a year ago. AMD recorded $942 million in revenue. Last week, AMD had warned of lower revenue, ascribing the decline to reduced sales of its APUs, or integrated CPUs and graphics chips. Overall, though, AMD said the year-over-year decline was due to weaker than expected PC demand. Intel also warned of slowing PC demand, although the news it generated had to do with the slowing of Moore’s Law and the addition of a third 14-nm chip, “Kaby Lake,” to its road map. Now, market watchers have to begin to wonder—again—how viable AMD is over the long term. AMD’s cash reserves are $829 million, having jumped significantly from $677 million in the prior quarter. The company’s total debt, however, totals $2.27 billion. Why this matters: AMD has tried to offset the decline in PC sales by expanding into semi-custom parts, including the graphics chips for all three game consoles. But these chips don’t command the potential volume, and revenue, of CPUs and graphics chips for the PC. The market is apparently watching and waiting to see the potential impact of Windows 10. But while Intel can tolerate a declining market, banking on revenue from servers and other enterprise parts, AMD cannot. And it's paying the price.